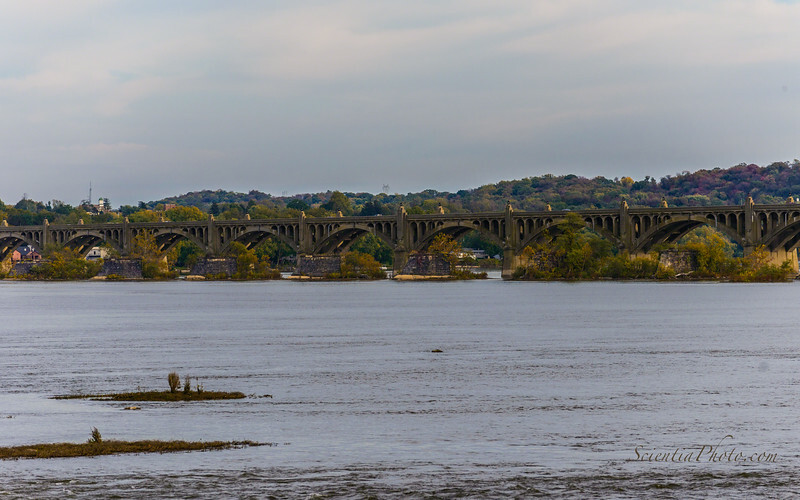 These are shots around the Veteran's Memorial Bridge that crosses the Sesquehanna River between Wrightville and Columbia. I rediscovered this bridge on my way to Maine in the summer of 2015, and vowed to return to capture it when the fall colors reign supreme. It has taken a year to get back. These shots were taken before the colors reached their peak, and will serve as a guide to repeat visits over the next few weeks. The fall colors are slow to appear this year (2016) and it was not a very sunny day. I have hyped the colors a bit, hoping to replace these images with better shots in early November.